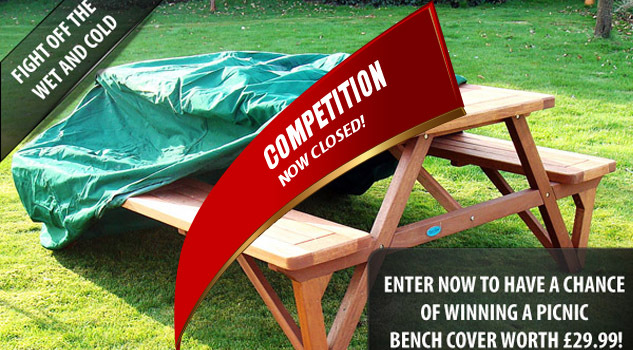 Benches.co.uk Blog: Bench Cover giveaway - Protect your garden furniture this Winter! 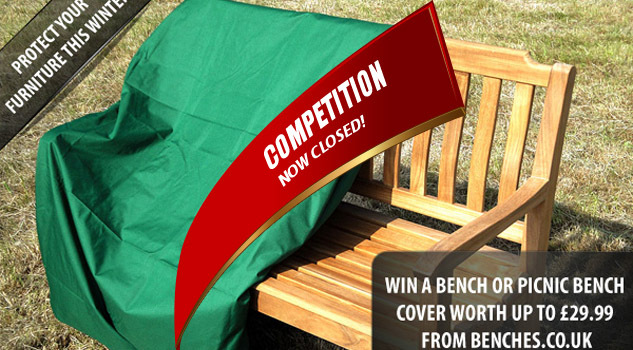 Bench Cover giveaway - Protect your garden furniture this Winter! UPDATE: The competition is now closed so please don't enter! If you've previously purchased garden furniture from us, then you'll know how important it is to keep your investment protected, so this year we are offering a free Bench or Picnic Bench cover worth up to £29.99 to help fight off the wet and cold. As the months come and go, its more and more crucial that you've prepared your garden for the harsh extremes that December and January often bring us. A few checklist items besides protecting your garden furniture include; planting spring bulbs, relocating cacti to a warmer place inside and aerating your lawn. Cold weather is known to make wood dry and brittle, whilst accellerating the chance of dry rot. Wooden furniture is especially at risk in areas with extremes differences in day and night temperatures. The regular expansion and contractions during the day and night can cause warping and cracks, so its particularly important that you use a bench cover to maintain the lustre, shape and sonorous qualities of your furniture. Like our facebook page, and leave your name and email address on our Facebook wall. The competition will run for approximately 14 days and is planned to end on Friday 16th November 2012. Enter now to avoid missing out. We will endeavour to deliver the Bench/Picnic Bench cover to an agreed standard UK mainland address as arranged in advance with the winner. The winner will also have to select either a small cover(120cm), a medium cover(150cm) or a large cover(180cm) depending on the size of their Bench. If you are selecting the Picnic Bench cover, this only has one size.